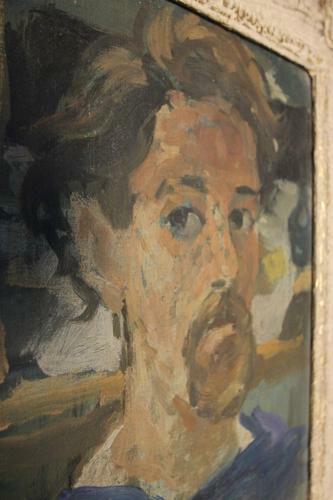 A wonderful self portrait by English artist Peter Collns, oil on board in original gesso and gilt waxed frame. Provenance, Stanley Studios, Chelsea, London. Circa 1950.